John Michael O'Keefe (JOK & The Wild One) was born in Bondi Junction on 19th January 1935 and died at St Vincent's Hospital 6th October 1978. Johnny was 53. Johnny's younger brother is jurist Barry O' Keefe and uncle to Andrew O' Keefe TV host. Johnny was the middle child of Raymond Moran O'Keefe and Thelma Edna Kennedy. He was raised a Catholic and attended Waverly College. Although intelligent he was easily sidetracked and his grades floundered. Gary O' Callaghan from then radio 2UE recalls he often was in trouble. After he matriculated in 1951, with an 'A' in French and a 'B' in English, mathematics, physics and economics. He enrolled in 1952 in a part-time economics degrees course at Sydney Uni, but soon left and did a short course at the retailing then worked with his dad in his furniture store. His musical talent he sang at dances and was a great fan of Johnny Ray. John enjoyed swimming, surfing and sailing at Vaucluse Juniors sailing club. December 1952 Johnny was called up for for National Service and served in RAAF. When his service finished he enjoyed doing parties etc gaining experience in entertaining industry, with a style now of Bill Haley. By 1960 he was the most well known rock and roll star in Australia. 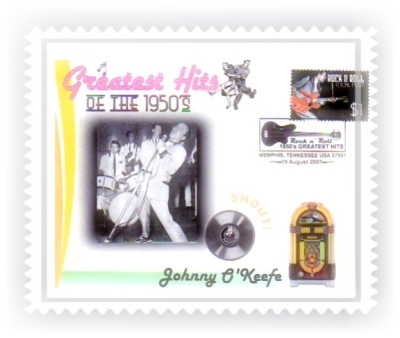 Johnny O'Keefe's life changed irrevocably after seeing and hearing Bill Haley singing "Rock Around the Clock" in the film Blackboard Jungle in June 1955. He realised immediately that this was the style of music he wanted to perform, and from this point on he dedicated single-handedly himself to becoming a Rock'n' Roll singer and a star. Johnny was first o admit his singing was not all that great but his great on stage magnetism he created his name up there with the best. Wearing glitzy suits and wonderful personality on stage he was "The Wild One" indeed. Lee Gordon the promoter was a close friend of Johnny's and I saw him at the old Sydney Stadium and went to Six O' clock Rock frequently. The Delltones (an original Noel W iderberg died in 1962 in a car accident in Brighton-Le-Sands), yes GONE TOO SOON ALSO! they regularly backed Johnny on his shows. YouTube clips here. Johnny married Mariane Wilimzik on 2nd August 1958 and had 3 children but with his well documented mental health, sadly they divorced in 1967. After visiting the States in 1959-60, sadly did not have the intended result and he returned to Australia totally exhausted and broke. 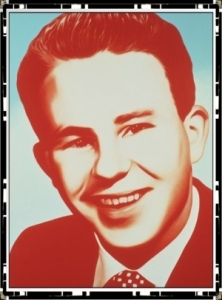 Johnny was driving 27 June 1960,the car crashed in to a gravel truck, also leaving Johnny Greenan who was seriously injured and his pregnant wife suffering a miscarriage. They were all heading back to Sydney from the Queensland in his beloved Plymouth. John lost four teeth, and his hands were also badly cut. Digby Richard was following in the care behind and was supposedly that he moved Johnny's stash of 'Grass' from the hub cups. this all could just rumours. Johnny again tried the US market in 1961, but once again exhaustion forced his tour to be cancelled. Johnny ended up in London's St George's Hospital with a 'Nervous Breakdown'. With Lee Gordon's' help and his friends and family he returned to Australian mid 1961. however once again he was admitted to RPA's psychiatric ward. He left the ABC and then went to Channel 7 with is show 'Sing Sing Sing'. A blow to Johnny was the death Lee Gordon, who died from a heart attack in London on 7 November 1963. Again was admitted for mental problems in 1964 and in 1965 his show stopped. In the later part of the 60's tipping over into the 70's his addiction problems i.e. : drugs and alcohol and began his decline into possession of Grass and several driving offences. This brought about being denied access to his children after his divorce from Marianne. Johnny toured Vietnam in 1969 to perform for our Aussie troops. He at the second Sunbury Pop Festival in January 1973 and strangely enough he was not met with a good reception at first, but being the trouper he was he won them over. How could he not? In August 1974 O'Keefe put together a package tour called "The Good Old Days of Rock'n'Roll". His old friends, Johnny Devlin, Lonnie Lee, Jade Hurley, Barry Stanton, Tony Brady and Laurel Lee. George Leagues Club held the first show and it was hugely popular and lasted some four years. St Valentine's Day 1975 Johnny O'Keefe married for the second time to Maureen Joan Maricic, a 29-year-old fashion consultant. John's demise in the late 1970s O'Keefe it was said he was a heavy consumer of a wide range of drugs. He often joked when Elvis died " I will be next" and he reportedly carried a briefcase containing a large quantity of many types of prescription medications. I remember seeing the program based on his life about his drug use. I was total shock, I simply never had any idea of this part of his life. (In 1986 the Seven Network produced the successful 'docu-drama' mini-series based on his life, Shout! Johnny's story of his colourful life starring Terry Serio as O'Keefe). The 'Sounds' program on Channel 7 taped in September 1978 was his last appearance. He died like many other in the entertainment industry from accidental overdose of prescription drugs. Johnny O'Keefe died on 6 October 1978 from a heart attack induced by an accidental overdose of prescribed drugs. He was buried at Northern Suburbs Cemetery in Sydney. I remember clearly hearing from patient at Concord Hospital. 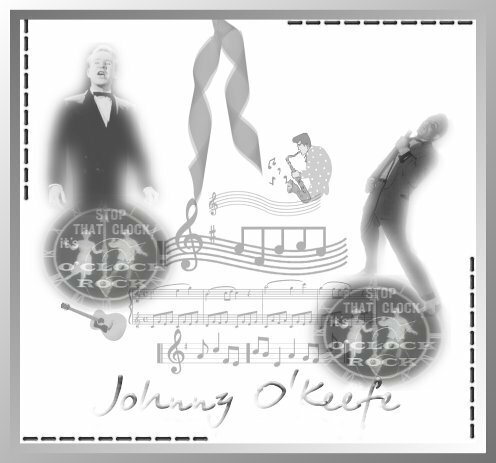 In 1988 Johnny O'Keefe was posthumously inducted into ARIA Hall of Fame. In 1994 the Powerhouse Museum in Sydney recognised O'Keefe's contributions in a major exhibition of Australia's rock and pop history titled Real Wild Child and a comprehensive CD-ROM based on the exhibition, was later released with the same title. Johnny O'Keefe's life story and career also inspired the stage musical, Shout! Yes this once again made the joint jump with Johnny's inspired magic. Ivan Durrant the Australian artist painted "A Little Bit Louder Now", is in the collection of the National Portrait Gallery in Canberra. 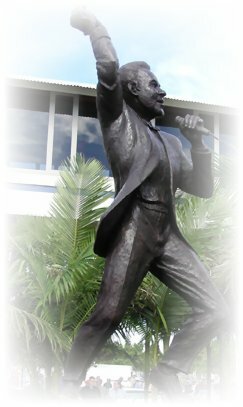 In June 2004 2004 a 5 metre tall Monument titled "The Wild One", created by renowned sculptor Dr. Alex Sandor Kolozsy CDVA, was unveiled at the Coolangatta/Tweed Heads, Twin Towns Services Club in memory of the King of Australian Rock and Roll. Johnny with all his twists and turns in is turbulent life, we miss you. 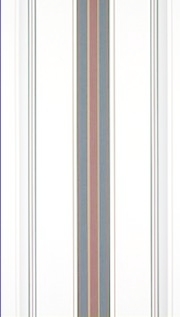 Your life, was just that, your life. RIP now and just sit and watch your children as they pursue their careers.